I have a huge liking for crystals or say everything that sparkles brightly. My grandmother has a beautiful pair of floral real diamond earrings and wow I cannot just take my eyes off it. 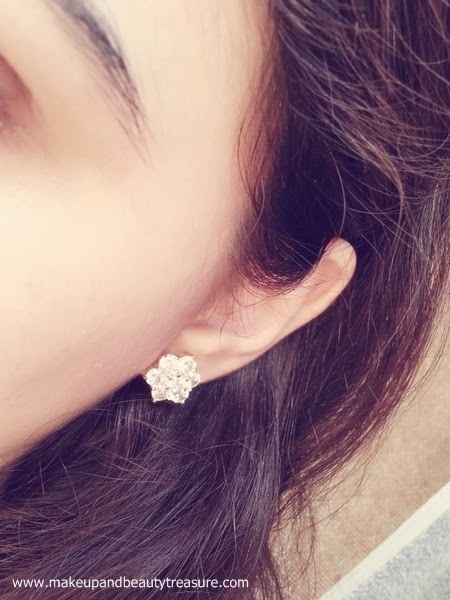 Recently while browsing on Snapdeal I came across these gorgeous floral crystal earrings that not only look vintage but classy too. 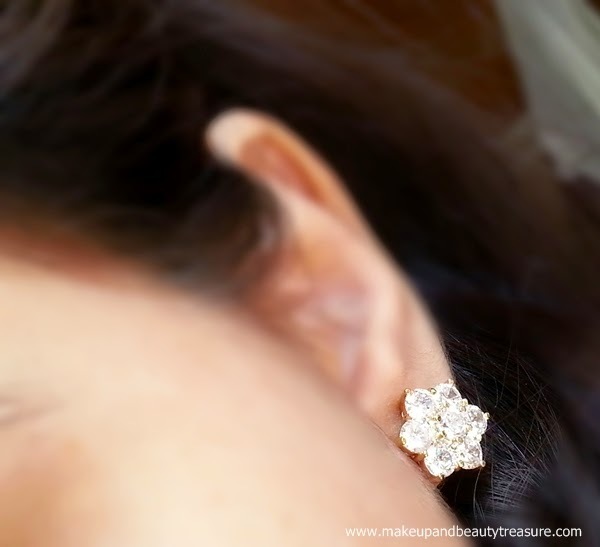 Today I am going to review Infinity Vintage Bloom Crystal Stud Earrings. Add some bling for that extra zing. 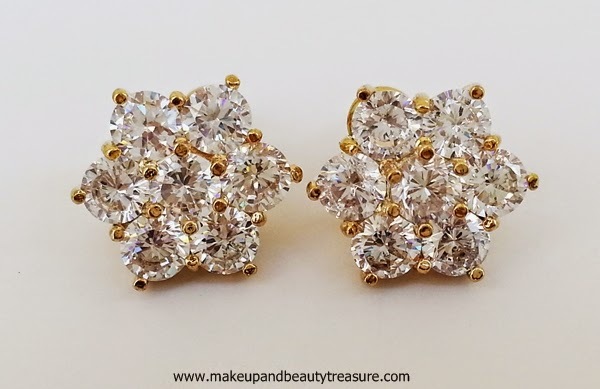 These pretty earrings embellished in crystals are designed in a floral shape. Adds on charm as you wear it with any of your outfits. Infinity Vintage Bloom Crystal Stud Earrings consists of 7 sparkly clear crystals with various golden clasps to hold them in place. I also have the same earrings but with silver base. They are about 2 cms across and look quite classy and elegant. They are floral in shape and look extremely gorgeous when paired with traditional dresses or skirts. They look very sparkly when they catch the light. The crystals are Austrian crystal and last really long. I have tonnes of Infinity jewellery with me since 5-6 years and all are in perfect and new condition. 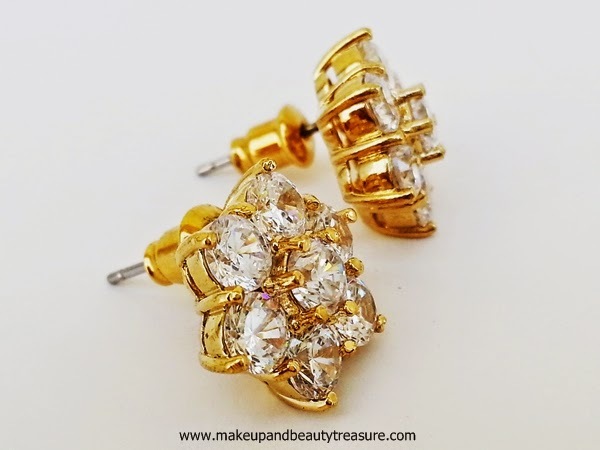 The back of the earrings are gold plated that make them look classy. They are quite lightweight and are comfortable to wear. The locks of the earrings are perfect and do not tend to get loose. They are easy to put and take out. The earrings are neither too big nor too small and cover my earlobes nicely. They are truly vintage and feminine. They really help in dressing up an outfit whether you are dressing up or being casual. They look pretty on all ages without being OTT or boring. I have been using them a lot but they are still in good condition and I have not seen any signs of wear and tear. • Can be worn at any time of the day. • Great for dressing up. • Sparkle beautifully when they catch the light. • Look classy and elegant. 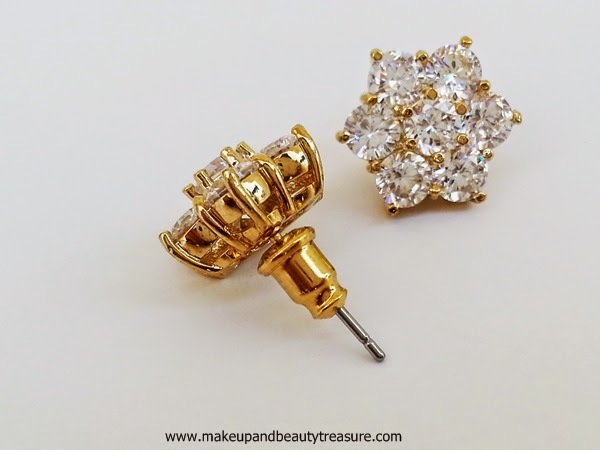 Overall I am totally in love with Infinity Vintage Bloom Crystal Stud Earrings. They not look classy but instantly jazz up my outfits. The crystals are really of high quality and last long. They are shiny and sparkle beautifully when they catch the light. They are light and comfortable to wear throughout the day. They are a brilliant investment and I would happily recommend these earrings to everyone! 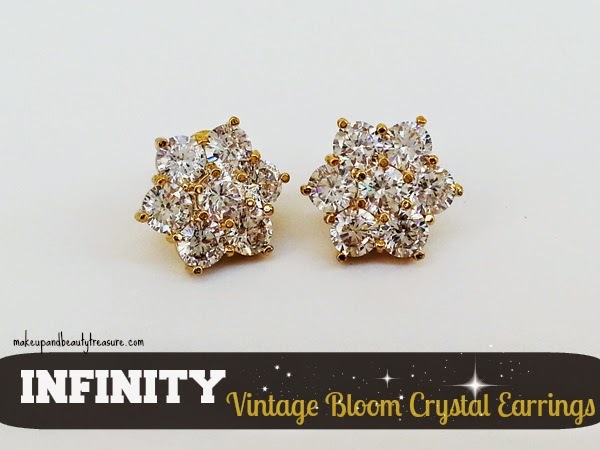 Have you tried Infinity Vintage Bloom Crystal Stud Earrings? Do you love crystal jewellery? Share in the comments section below! The earrings are so gorgeous, so loving it in your pretty ears. They will look gorg on u too Aroo! Wow...They r soo pretty ..